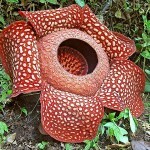 The Biggest Flower in the World Archives - All That is Interesting! How to Remove Paint from Brick? How to Get Vomit out of Carpet?